Collaboration between ELL & MANI. The ring is totally handmade in Italy, 100% made by Silver 925. 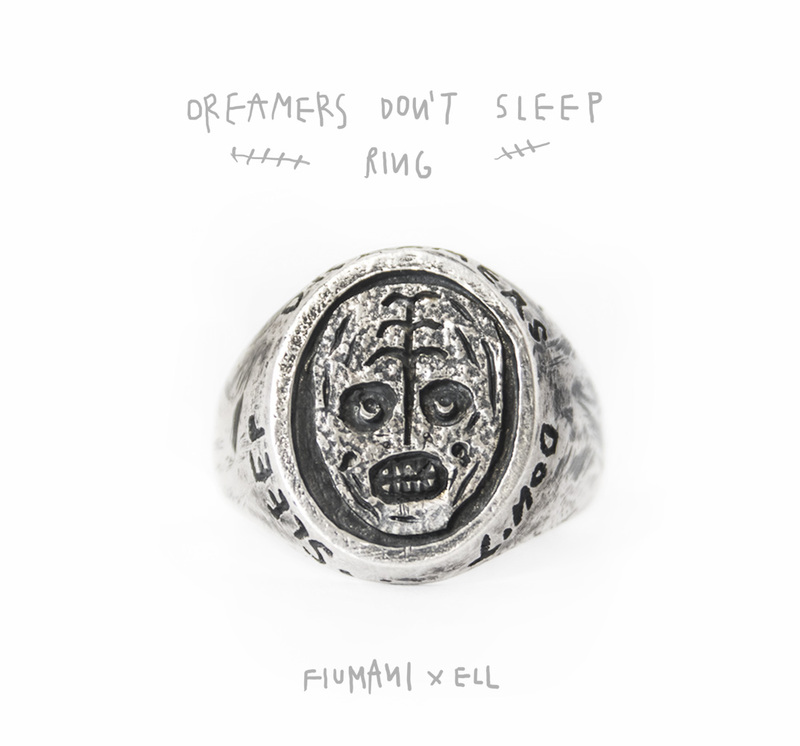 The phrase around the ring says DREAMERS DON`T SLEEP. 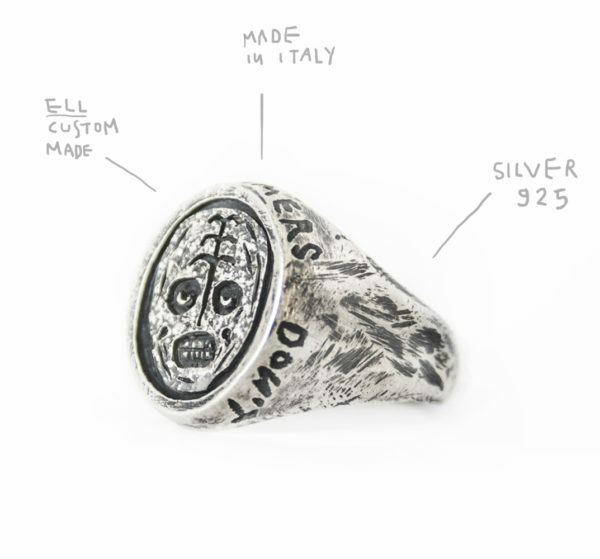 We can make the ring for your finger size.